Straight outta downtown Dakar, Senegal, Tidiane et les Dieuf Dieul serve up some of the rawest, hottest mbalax since Youssou N'Dour was just a local star in the early '80s. It storms out of the gate with "Xalatal," which immediately sets the temperature on boil with its mix of wild guitar, keyboard, and sabar, or talking drum, and doesn't let up until they deliberately slow things down seven tracks later with "Waxonalako," where the sensual beat makes up for the lack of pace. Tidiane Gaye is a powerful lead singer, riding over the lyrics rather than caressing them, and guitarist Assane Diop seems to worship at the altar of Jimmy Page and Jeff Beck. It's startling stuff, and throughout the disc they never put a foot wrong, upping the intensity track by track before finding warp factor nine on "Salimata." The album reminds you how powerful and driving mbalax rhythms can be in the right hands -- and how much N'Dour, the genre's leading figure, has diluted his music over the years. 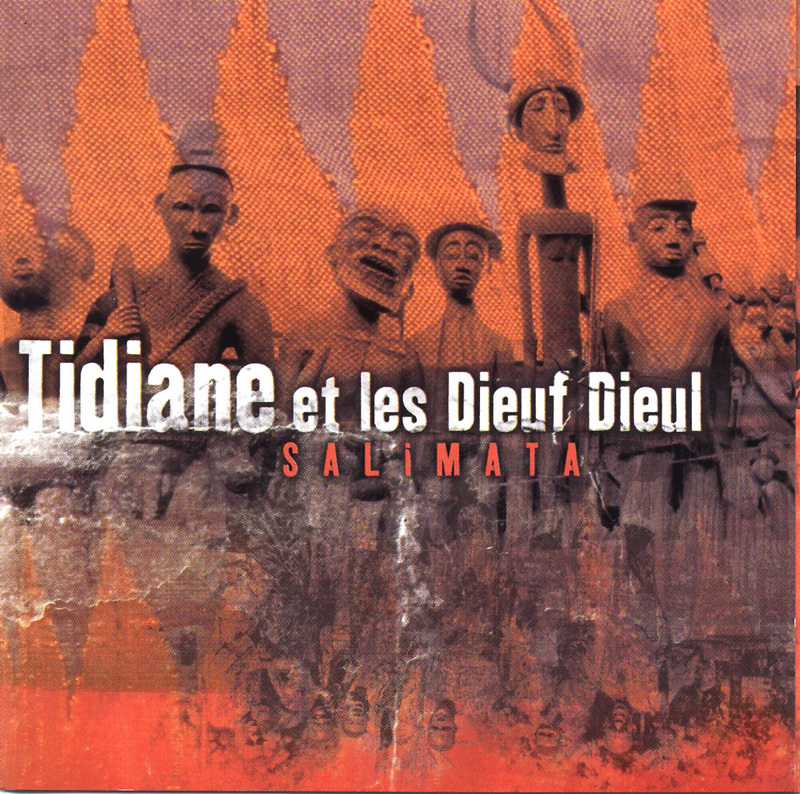 Tidiane et les Dieuf Dieul could become a major force in Senegalese music, given the right opportunities. They have the power -- all they need is more chance to unleash it.